Venture to Southern Peru – a region of diverse, striking landscapes and rich Incan culture and history. On this 12 day / 11 night adventure, discover the iconic landmarks and hidden gems scattered throughout the region. From classic destinations like Machu Picchu and the Sacred Valley to lesser-known treasures, you will experience the best this beautiful country has to offer. Good Life Expeditions is a responsible travel agency and operator. We are 100% owned by MEDLIFE, our partner NGO. We craft every itinerary with the goal to create authentic, life-changing, and socially responsible experiences for travelers. Regardless of budget or travel style, we will find the perfect itinerary for you. When you travel with us, take confidence that you’re making a direct and positive contribution to the places and people you encounter. We carefully select our partners and experiences ensuring they are both sustainable and eco-friendly. Focusing on Lima and the south of Peru, this carefully crafted itinerary takes you to some of the most spectacular parts of the country. Start your trip in the capital Lima, where you can taste some of the best cuisine South America has to offer. Then journey to the ‘white city’ Arequipa – named for the white volcanic stone called ‘sillar’ used to construct most of the buildings. This architecture is one of many Arequipa highlights. Then head to the beautiful Colca Canyon, famed as one of the deepest canyons in the world and home to the majestic condor. Along the shores of Lake Titicaca, thought to be the birthplace of the Inca civilization, experience first-hand cultural experiences with local communities. Round out your adventure with the must-see highlights of Cusco, the Sacred Valley, and of course Machu Picchu. To book this Discovering Southern Peru tour, contact us! Day 3: Fly from Lima to Arequipa. Half day tour of historic Arequipa, including the Plaza de Armas, the Cathedral, Santa Catalina Monastery, Compañia de Jesus church, and panoramic city lookout points. Overnight in Arequipa hotel. Day 4: Scenic transfer by car to the Colca Canyon. Overnight in Colca Canyon hotel. Day 5: Colca Canyon tour including visiting the Cruz del Condor. Overnight in Colca Canyon hotel. 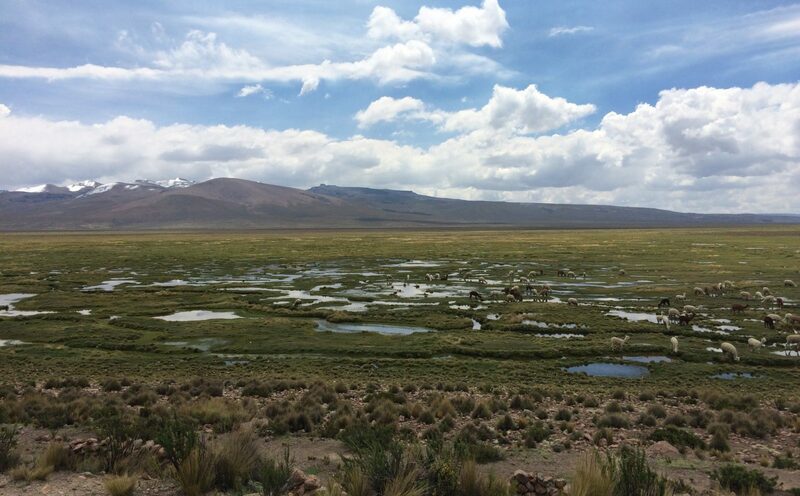 Day 6: Overland transfer from Colca Canyon to Lake Titicaca. Overnight in Lake Titicaca hotel. 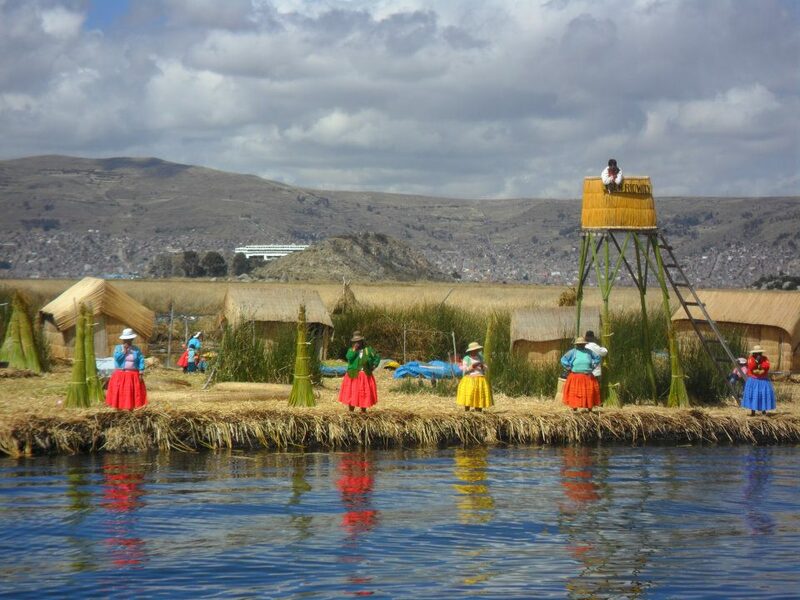 Day 7: Full day tour of Lake Titicaca by boat, visiting the Uros floating islands and Taquile island. Day 8: Fly from Puno to Cusco. Enjoy a scenic drive to the Sacred Valley, stopping en route at Pisac ruins and market, and Awanacancha, a traditional weaving center. Overnight in Sacred Valley hotel. Day 9: Full day tour of the Sacred Valley. Choose from Ollantaytambo fortress, Chinchero market town, the salt ponds of Maras and the Moray archaeological site. Overnight in the Sacred Valley hotel. Day 10: Train from Sacred Valley to Machu Picchu. Guided half day tour of Machu Picchu. Return train to Sacred Valley and transfer to Cusco. Overnight in Cusco hotel. 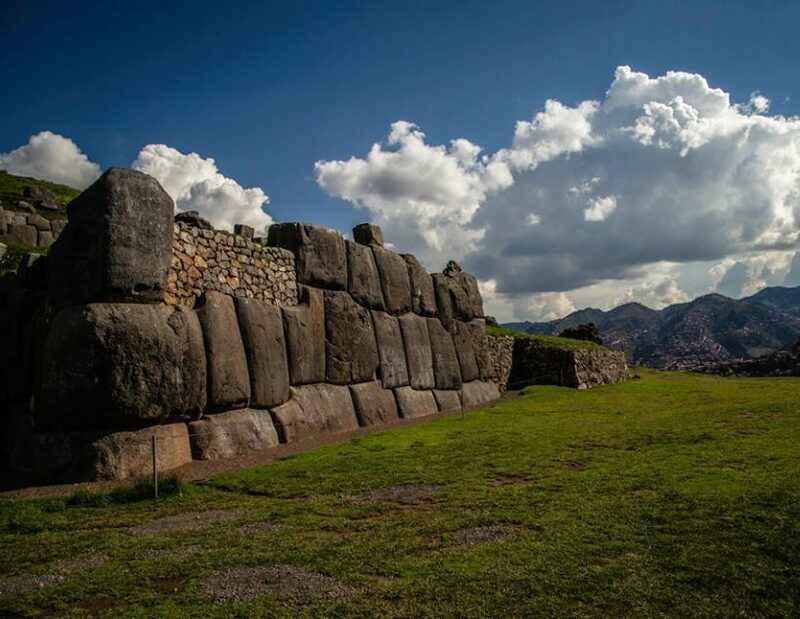 Day 11: Half day Cusco city tour, including highlights like Qorikancha, the Cusco cathedral, Sacsayhuaman, Qenqo, Puka Pukara and Tambomachay. Day 12: Fly from Cusco to Lima for international departure or onward travel.